A special feature of the towers is the fact that the ground floor, with its two restaurants, is open to the public. Now it’s just up to you whether you want to enjoy Italian cuisine or prefer freshly-prepared sushi. 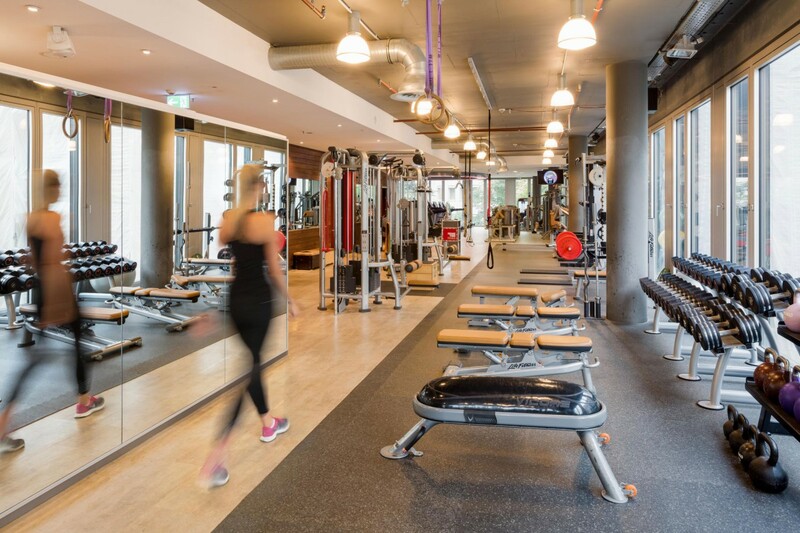 The first floor of the building houses a high-quality gym: Time and again, Prime Time Fitness succeeds in motivating the buildings’ residents to engage in sporting activity. These features create a lively, richly-varied everyday working environment for employees on the premises. Exercise has become an established component in our lives. But what makes Prime Time different to other gyms? It is the mentoring. This is what really counts when it comes to tailored fitness plans and personal training. Whether from place or work or home: the relaxed personal atmosphere regularly draws one in. 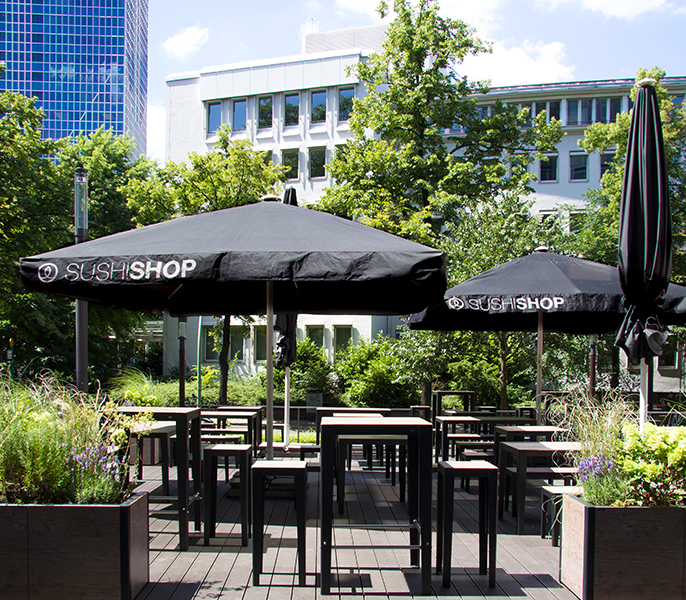 With the club in WestendDuo, you always have your finger on the pulse of life in Frankfurt. Each employer is offered the possibility of agreeing special staff terms, and you can have the trainers put together the programme that suits your day-to-day life. A new feature in the programme is the option offered to members from WestendDuo to use their membership cards to gain free access to Frankfurt’s most prestigious spa – “THE SPA” in the Steigenberger Hotel Frankfurter Hof. The Sushi Shop on the ground floor guarantees one thing above all else: Freshness. The Japanese art of sushi provides a healthy addition to our meal options. As a matter of principle, the shop works only with fresh produce. At short notice, you can either pick up a pre-prepared take-away box, relax during the summer months in the pleasant outdoor area or enjoy the cosy Japanese ambience of the interior in the winter. Fans of this cuisine can thoroughly indulge themselves in a healthy way. Italian today? And, above all, fresh? Vapiano provides evidence of its mission every day: “Uncompromising freshness guarantees outstanding flavour and a healthy diet”. 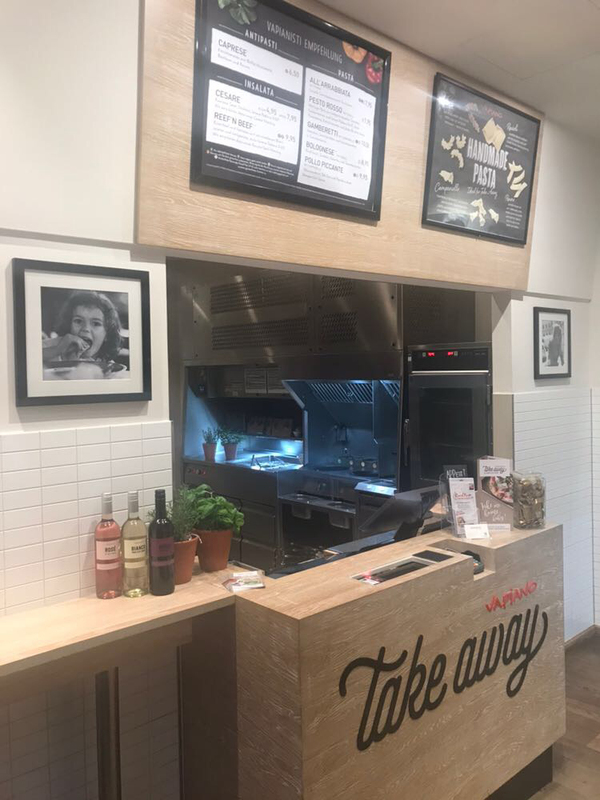 In order to offer fresh dishes for guests who are short of time, Vapiano has opened a take-away. Not only are you served quickly, you also have the option of pre-ordering by telephone. 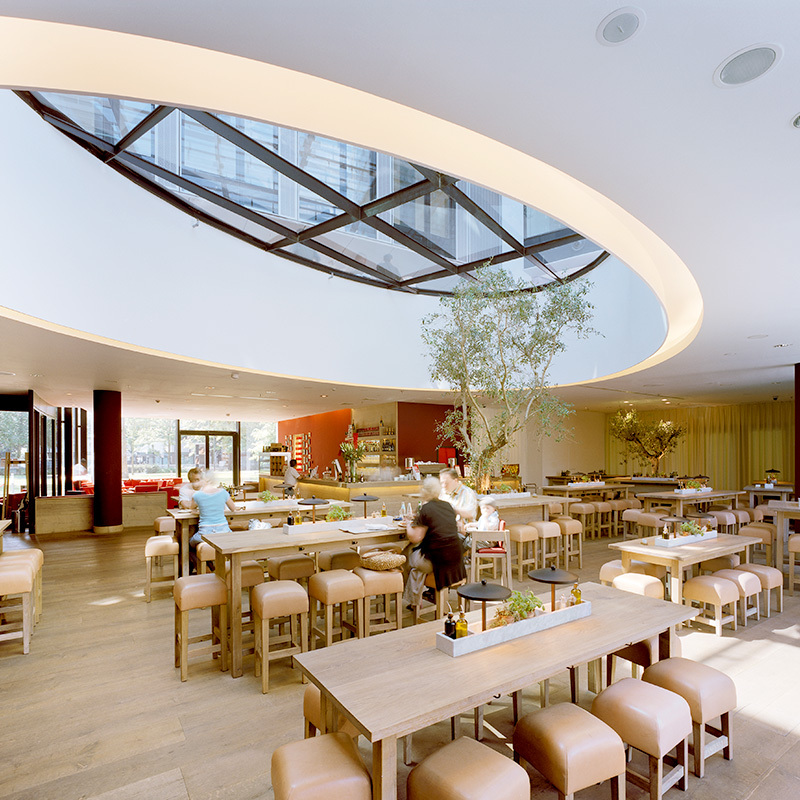 Thanks to the exterior and interior dining areas, guests can enjoy the cuisine accordingly, at lunchtime or in the evening, no matter what the season.